Here’s a cheap, cheerful and highly effective trick to keep your mainline in top nick and add yards to your cast, and it comes courtesy of Korda boss Danny Fairbrass. 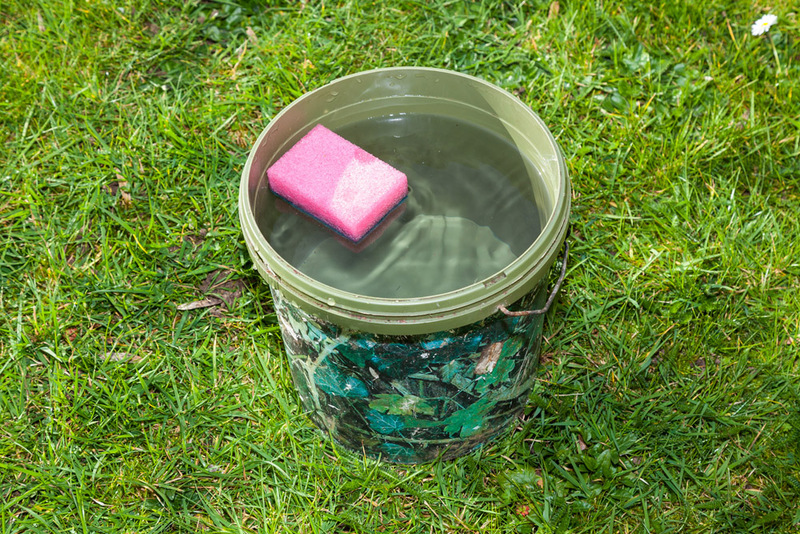 When he’s finished marking out his line with distance sticks, he winds his mainline back off them and onto his reel through a small damp dish sponge which he keeps in a small cup or bucket of water next to the sticks. This cleans and lubricates the line, helping to prevent those crack-offs you can sometimes get when casting out a dry, slightly twisted line just after marking up your line. And, if you want to make sure you remove every last bit of twist from your line, cut the lead/rig off before you wind the line back onto your reel, then attach it again once complete. Reeling in a line with no weight on the end allows all the twist to spin free. There are a number of tricks you can use to help to sink your mainline, which is a vital part of accurate and fuss-free angling. If you’re using a heavy mainline of around 0.35mm and above, then a great trick is to wind it back onto your reel through a cloth smeared in Fuller’s earth. This clay-based product acts as a very gentle abrasive which will scour away all the things that make your mainline float in the first place, such as oil and grease. One area where a sinking mainline is an absolute must is when fishing shallow venues. Everybody knows that giving your spools a douse with detergent helps it to sink, but if you want a mainline that sinks faster than the blink of an eye, take your spool off the reel and soak it overnight in a bag or bucket containing a watery Fairy Liquid solution. The difference is staggering and the result is a mono mainline that makes even fluorocarbon seem slow-sinking! A well lubricated mainline will add many yards to your cast and make it behave far better than a dry, wiry line. All you need to achieve for the whole season is a packet of Mr Sheen furniture wipes. They contain silicone-based agents that will make your line feel as smooth as silk. All you have to do is hold one in the hand you’re using to cradle the reel, and wind the line back onto the reel through one of the wipes. A packet of 20 costs around £2. Say goodbye to fraps, crack-offs and lost rigs forever! How to get Scream-ers from the far margins! Change boilies each season? Not for Chilly! [VIDEO] How to pimp your Spomb! Which is better for setting the hook - barbed or barbless? Can day-ticket carp remain uncaught? Is it worth resting your swim on longer sessions?